Poster for festival or invitation to party. 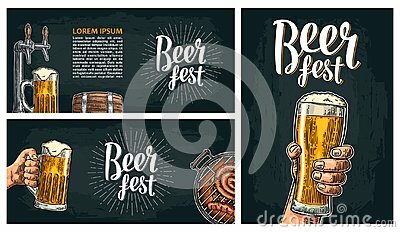 Beer fest lettering with ray and wood barrel, hands holding glass, tap, wood barrel, barbecue. Vintage vector engraving illustration on dark background.